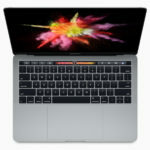 Online sales have started for Apple’s new 13-inch and 15-inch MacBook Pro with Touch Bar and Touch ID, and Canadian pricing is intense. The 13-inch MacBook Pro with Touch Bar starts at $2,299 CAD, with 8GB RAM and a 256GB SSD drive. An upgrade to a 512GB SSD costs $2,549. As for the 15-inch MacBook Pro, it starts at $2,999 and the upgrade to a faster Core i7 at 3.6GHz and Radeon Pro 455 GPU costs $3,499 CAD. Note, the option to select 8GB RAM isn’t available. 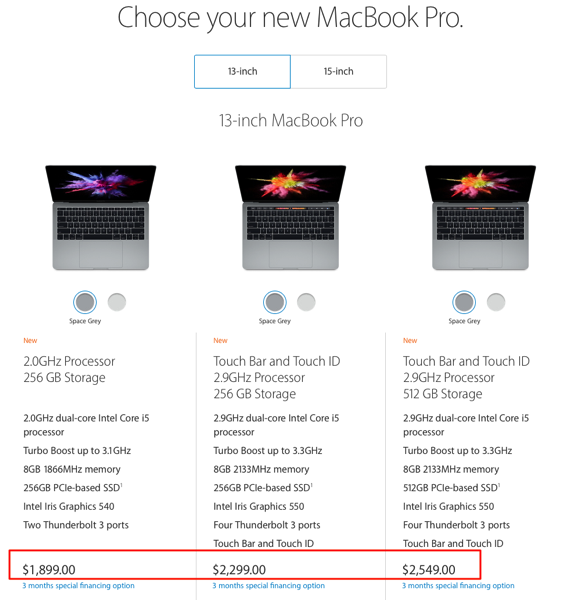 These new MacBook Pro models with Touch Bar and Touch ID look compelling, but Canadians will pay the price, with our exchange rate again putting pressure on the high prices. You can place your order now on Apple.ca. 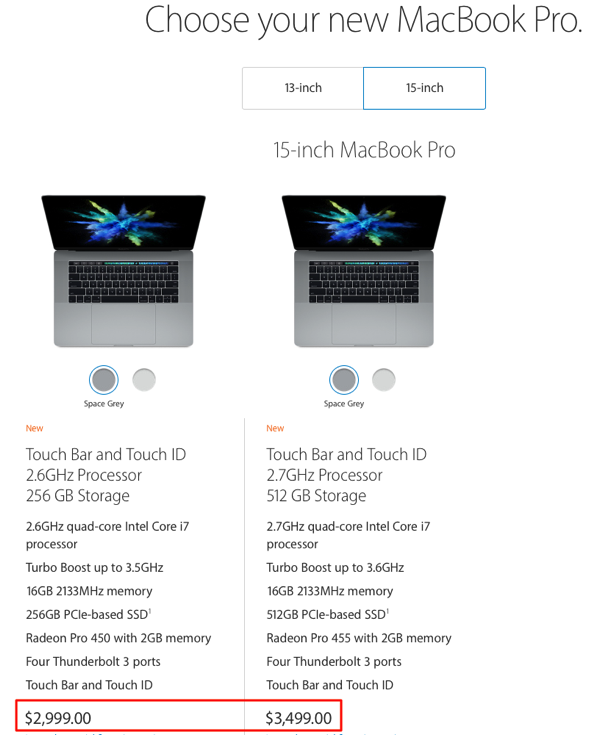 What MacBook Pro model are you going to buy?